President Goodluck Ebele Jonathan in his ‘democracy day’ broadcast renamed University of Lagos after Late Moshood Kashimawo Olawale Abiola . For those who may not know him, Abiola was a pan-African. He was a Nigerian businessman turned politician, whose influence cut across, not just Nigeria, but Africa. He was known as ‘the pillar of sports in Africa’. Abiola contested for the position of President of Nigeria in 1993, and won the election in what is till date referred to as one of the freest and fairest elections ever conducted. He won convincingly in all strategic geo political zones of Nigeria including Kano the home state of his opponent Bashir Tofa. He remained president-elect until he died trying to reclaim his mandate in 1998, his election was annulled by military dictator Ibrahim Badamasi Babangida. During my time as secretary general of the Oduduwa People’s Congress, we mandated a delegation led by Rotimi Obadofin under the Coalition of Odua Self Determination Group to meet with then President Olusegun Obasanjo with the mandate to demand the honouring of MKO Abiola by Federal Government of Nigeria for Abiola’a contribution and sacrifice to the Nigerian democratic process as Obasanjo was a key beneficiary of the June 12 struggle. Obasanjo rejected all appeals to name any national asset in Abuja after Abiola. Obasanjo insisted on federal assets in South-West Nigeria. Amongst Obasanjo’s offer was to rename Univeristy Of Ibadan or University of Lagos after MKO. We rejected both offers, insisting it was an effort to sectionalise Abiola and that South West governors have done quite a lot already to honour Abiola. Today, we have MKO ABIOLA FREEDOM Park, Moshood Abiola Polytechnic, and a host of others. It is now quite clear that the PDP does not want Abiola immortalised in Abuja, the Federal Capital Territory. I view President Ebele Jonathan’s gesture to rename University of Lagos after Moshood Abiola as an insult to the nationalistic caliber of the 1993 democratically elected president of Nigeria who gave his life for the mandate given to him by the people of Nigeria. It is an attempt to denigrate such a unanimously elected leader to a regional head. This is unacceptable. We look to this government to rename a more representative edifice, in Abuja something nationalistic e.g. the current Abuja National Stadium. 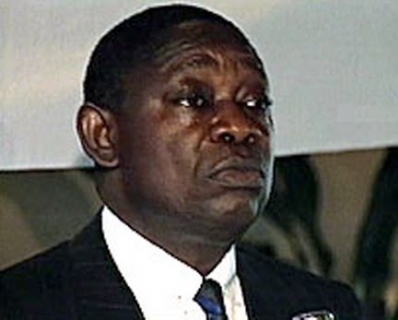 Abiola was well known for his contribution to sports in Nigeria and Africa as a whole. It is never too late for Mr President to change his mind. Whilst I am certain Yorubas feel renaming UNILAG after this great man is deserving, it is my belief that a national edifice is even more befitting. I therefore ask for the government to immediately rescind its decision and rename a national edifice after the man who was elected by the 6 geo political zones in Nigeria. Meanwhile our government both at federal, state, and local government level can honour this man and his sacrifice by giving us good governance and providing the basic necessities like power supply, functioning health facilities, and good roads. It is not enough to spend millions of tax payers money on an annual June 12 Jamboree, especially in South West Nigeria when most of the public office holders operate like mini demi gods, with no respect for the basic rights of the people they lead. We implore this government to stop majoring on the minor and start focusing on its primary responsibilities. This piece was originally published on Kayode Ogundamisi’s blog. Like I thought before it is an insult which I now see from another perspective. Finally. A complaint that has nothing to do with the loss of brand or swagger. The first sensible argument against the renaming of Lag I have seen all day (y).